You could make a strong argument that out of all forms of racing, endurance racing is the most stressful on a valvetrain. 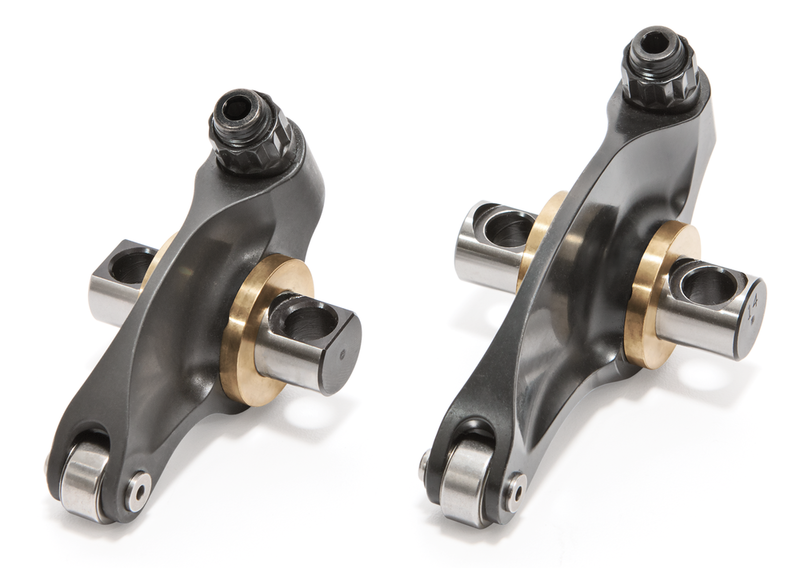 Endless hours running at 9000+ RPM, constant gear changes and intense operating conditions compromise the fatigue life of even the best aluminum rocker arm. Through extensive engineering and FEA analysis, Jesel has designed a steel bodied rocker with less deflection and a better moment of inertia than similar aluminum rockers. These advancements allow engine builders the opportunity to develop a more aggressive cam profile and valvetrain package. All Jesel Pro-Steel rocker systems are custom engineered for your specific application utilizing critical details such as spring rates, lobe lifts, pushrod angles and ratio requirements. The rocker geometry is designed to minimize roller movement on the valve tip. Each rocker body is manufactured from premium forged steel alloy and undergoes a through hardened heat treating process for durability. All of the steel components are processed with REM/ISF® Isotropic Superfinish to remove asperities inherent in the manufacturing process and to safely remove microscopic peaks, greatly reducing points at which stress fractures can begin.